Caterham has opened UK order books for the Caterham Seven 160, the Malaysian-owned company’s new entry-level variant of the iconic Seven. The Seven 160 – European customers will get an altered version called 165 – produces 80 hp from a 660 cc Suzuki three-cylinder turbo engine, enabling it to do 0-60 mph (0-96 km/h) in 6.5 seconds on to a top speed of 160 km/h. Priced from £14,995 (RM76,808) in component form, the car’s live-axle rear suspension, compact engine (it powers kei cars in Japan) and low weight embody the pioneering spirit of early Sevens and represent a new entry-point to the range. The new rear axle, a throwback to early Sevens in terms of simplicity, should give the chassis a lively character with a playful tail. To meet the desired performance criteria, the Caterham Group’s engineering consultancy, Caterham Technology & Innovation (CTI), boosted engine performance from the K6A’s standard 64 hp to 80 hp, while improving fuel economy and reducing vehicle emissions. The Seven 160/165 conforms to EU5, EU6 and JC08 emissions regulations. 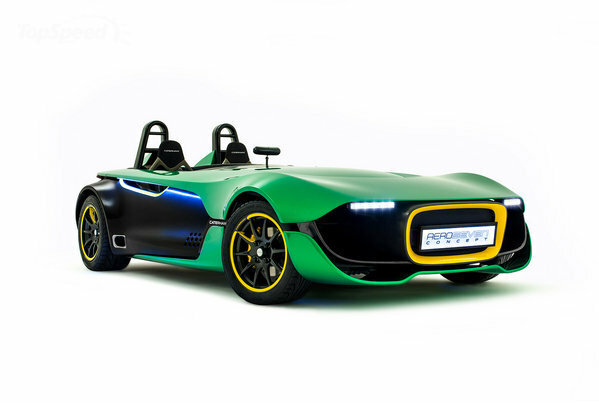 Caterham Cars CEO, Graham Macdonald, said: “As the Caterham Group as a whole grows and expands intonew sectors and industries, our commitment to keep evolving the Seven is very much alive. The 160 offers something truly different to the entry-level market. It’s more economical, more accessible and every bit as fun on the road as other Sevens but has its own unique personality. Production of the Caterham Seven 160 and 165 is expected to begin in January next year.